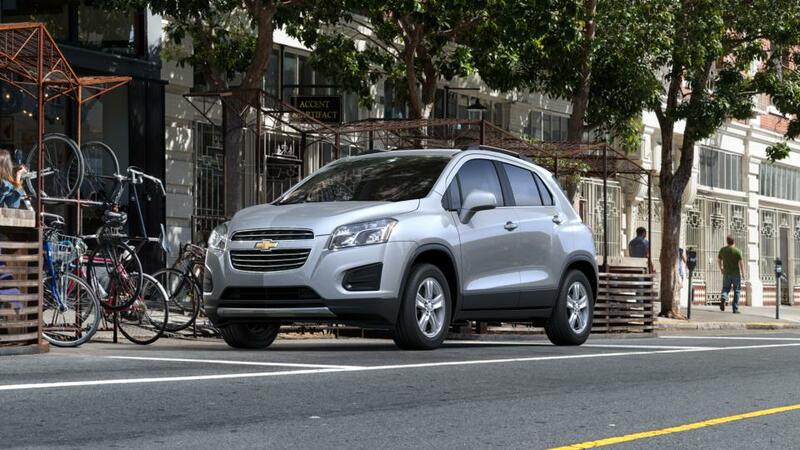 Find the new Chevrolet Trax and other vehicles at our store in Vermilion, OH. Offering seating for up to eight and plenty of room for your cargo, this small SUV has versatility for any lifestyle. We will help you find the right new vehicle that fits your needs. We will also help you with easy financing options on the new Chevrolet Trax at our dealership in Vermilion, OH. They will make sure that owning this vehicle is absolutely hassle-free. Visit us today at our store to learn more about the new Chevrolet Trax in Vermilion. You can have a word with our sales department for more information! At Pat O'Brien Chevrolet Vermilion, our goal is to make your car shopping experience as easy and hassle-free as possible. That's why we offer our Upfront Pricing Guarantee. That means, whether you're browsing our lineup of New Chevrolet Vehicles, new Chevrolet lease deals, or our huge inventory of Used Cars in Vermilion, you can trust that you're getting the best deal possible. Take a moment to explore the latest deals on the Chevy Silverado 1500, the new Chevy Equinox, or the popular Chevrolet Malibu at Pat O'Brien Chevrolet Vermilion. We also offer one of the most extensive inventories of Fleet & Commercial Vehicles. Looking for a Heavy Duty Work Truck, or a spacious Chevy Cargo Van? Pat O'Brien Chevrolet Vermilion has what you're looking for!